The root of the problem. Steel. Sewer cam. Not the kind of cam I would prefer to watch. Plumber is here. 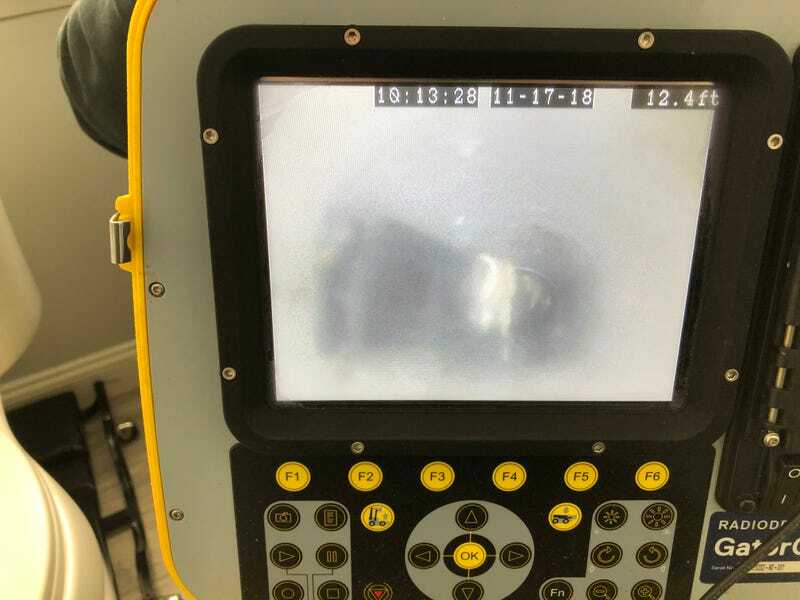 He ran a camera down my main sewer line, and that is what he found. There is a big piece of metal jammed in there in a spot where it could have only been put during construction. So everything we flush comes up against it, builds up, and eventually clogs. He cut the pipe and pulled it out. Sure enough, about 16" of steel that is used when assembling ductwork. Could be a mistake, and I’d like to think it is. However my more conspiratorial side has a theory. When the HVAC was installed, they put the furnace right in the middle of the basement in front of my big window, not over to the side where the plans had it. My wife saw that and made them move it all to where the plans had it. The plumbing was mostly complete at that point. I have a sneaking suspicion that someone decided they were going to get even with her. At any rate. It’s all fixed now. The builder has pictures and video of what was wrong, and will be compensating me for the damages. $665 for this guy, and I’ll be trying to get them to pay for the auger rentals I did prior.